The last five years of cinema or so haven’t been all that kind to the musical film. One could even argue the bold claim that the last genuinely great musicals hit theaters in 2007 (Across the Universe, Enchanted, Hairspray, Sweeney Todd, and Les chansons d’amour). And here, slipping into our lives right around Valentine’s Day eight years later, is one of the most strangely compelling and well-crafted musicals in a long time: The Last Five Years. And Richard LaGravenese, whose directorial projects since his Paris je t’aime short haven’t been quite as appealing as one would wish, finally returns to the intimacy that made him so damn good (especially as a writer). It almost makes perfect sense that LaGravenese would be the best choice to adapt Jason Robert Brown’s musical, what with Brown adapting one of LaGravenese’s best scripts – The Bridges of Madison County – into a musical just last year. His experience with dramatic and romantic works, as well as rather off-beat relationships, comes in handy here. Cathy, the struggling actress, and Jamie, the author whose life is just taking off, aren’t simply characters whose lives revolve around each other. Their relationship is the crux of the musical, of course, but he – and Brown’s musical itself – highlights every little quirk and flaw they have through songs both upbeat and downright gloomy. But what’s most interesting about the way many of the musical numbers in The Last Five Years is presented are their constant juxtaposition. 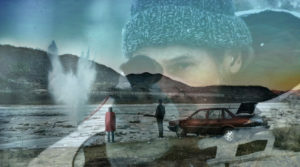 Sometimes it’s contrasting the rise of Jamie with the fall of Cathy (“Climbing Uphill” and “If I Didn’t Believe in You” a perfect example), while other back-to-back tunes strive to showcase just how different the beginning and end of their relationship was (“Still Hurting” and “Shiksa Goddess”). The shifts in tone never come off as unnatural, in great part because Brown’s score is so damn emotionally compelling, even with all the ornamentation and key changes he throws in for fun. If anything, it’s sole frivolous tune is “The Schmuel Song”, and even then, it’s an almost-essential piece of music that places emphasis on Jamie’s talent as a storyteller, much like other tunes highlight Cathy’s dedication to her own craft (“A Summer in Ohio”). When practically every single number is focused on two characters (only a few performances featuring other dancers and, essentially, human props), it’s easy for some to get bored, but LaGravenese does his best to make the numbers pop on screen, to the point where it’s almost tough to imagine how these were performed on stage without the benefit of all the visuals he provides. Others, though, benefit from similar tactics to what would add the proper ambiance on stage. Their apartment, which is the stage for plenty of the couple’s interactions, only looks and feels different in different performances because of the same kind of changes in warm and cool lighting that one would see in an actual stage performance. As always though, nothing works if you’ve got weak voices in a musical (I’m looking at you Les Mis) and neither Jordan nor Kendrick fit that description. Some will complain they’re no Norbert Leo Butz or Sherie Rene Scott (let’s be real – no one can compare), but the pair make for a realistic couple with just the right amount of chemistry for when they’re on the screen together. It’s the kind of role that should be considered a break-out performance for Jordan on screen, with his charisma being as intoxicating as his voice, but the biggest draw of The Last Five Years is Kendrick – who finally gets the goddamn movie musical she’s deserved for so long. It’s not just that her voice hits all the right notes to pull one in, or that she delivers every joke with grace (including one about Russell Crowe in Les Mis); we know she can do both those things. Her dramatic work in the film, those little moments of silence especially, is highlighted beautifully by the camera, her expressive face showcasing her character’s pain without all the melodramatics that could come with a role like this. There’s no denying that a musical film that’s almost entirely told through song (instances of straight dialogue are rare, to say the least), isn’t exactly something that will appeal to everyone. But Richard LaGravenese’s sheer dedication to maintaining the spirit of a stage musical with a film that only uses music for storytelling is something to praise. 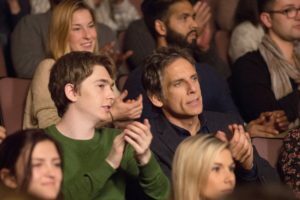 It proves to be the kind of adaptation that shows there’s no need to be showy (as someone like Rob Marshall seems to think) when you’ve got a narrative that means something. It’s because of this – and the fact that Jason Robert Brown’s musical itself is so damn good – that The Last Five Years could easily be considered one of the first great musical films in years. Directed by Richard LaGravenese; written by Richard LaGravenese; based on the musical, The Last Five Years, by Jason Robert Brown; starring Anna Kendrick and Jeremy Jordan; 94 minutes. The Last Five Years is undergoing a limited theatrical release and also available on demand.